Shown in Chrome Trim, other trims options available. 3.9 Kilowatt Output. 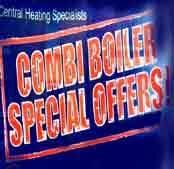 Suitable for Class 1 and Class 2 flues and suitable for precast Flues with a 3" rebate. Unique curved stainless steel back. Stainless steel reinforced to improve panoramic flame picture. 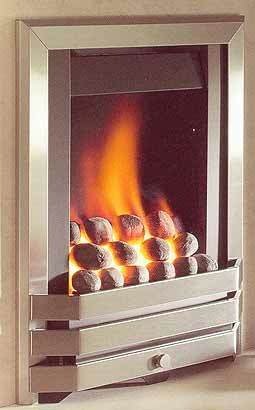 This contemporary living flame effect slimline inset radiant gas fire from Flavel, 3.3 Kw output. 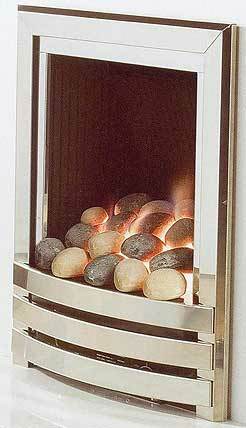 Features a deep pebble fuel bed with a beautiful, natural flame. No air vent required. Suitable for Class 1 and Class 2 flues and suitable for precast Flues. 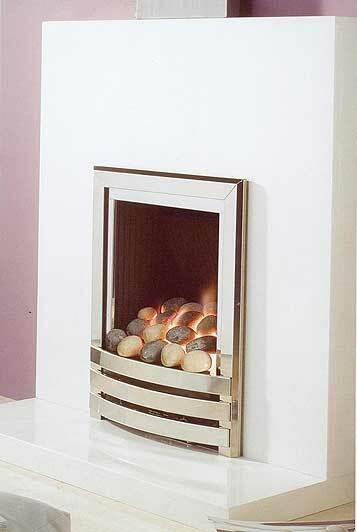 This contemporary living flame effect inset gas fire from Flavel produces a 3.6 Kw output. Available with contemporary Pebbles. Suitable for Class 1 and Class 2 flues and suitable for precast Flues. No air vent required. 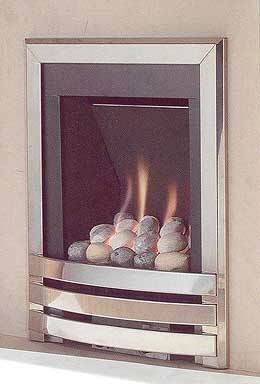 This contemporary living flame effect gas fire produces a 3.3 Kw output. Available with Pebbles. 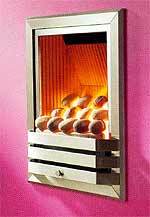 This full depth inset radient fire has a ribbed black fire back panel to produce a stylishly designed fire with eye catching trim. Suitable for Class 1 and Class 2 flues and suitable for precast Flues with 3" rebate. No air vent required. Terms & conditions available on request. Goods will not be dispatched until paid in full.-Please allow up to 7 days for a cheque to cash before goods can be delivered.